Swiftly lets you quickly identify the unnecessary delays that drag down system efficiency. Identify route segments and intersections causing avoidable performance issues. 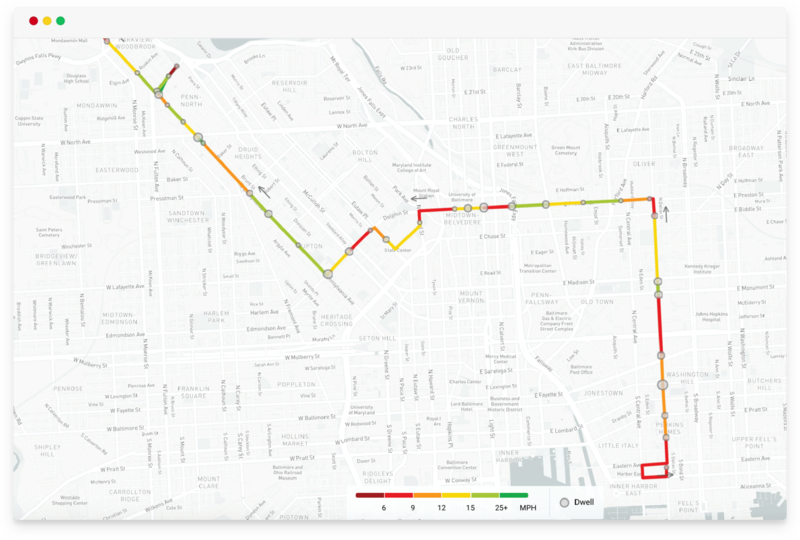 Create intuitive visualizations of vehicle speeds and dwell times for any route and direction. Quantify and communicate the impact of infrastructure projects on vehicles speeds and dwell times. 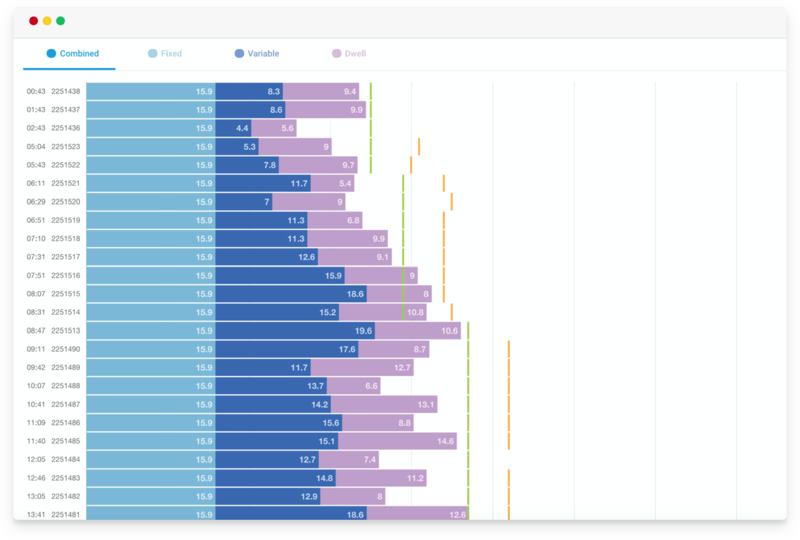 Easily segment and analyze the breakdown of travel times - including traffic, drive time, and dwell times. 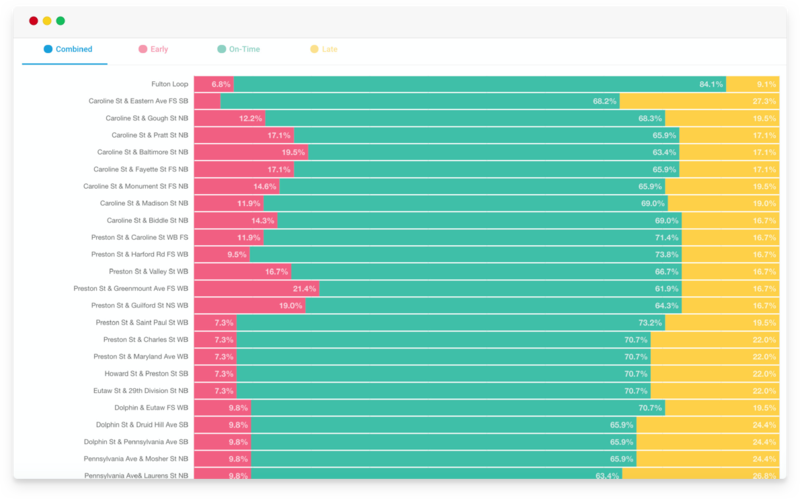 Empower schedulers to identify trips that exceed recovery time or have excessive slack. Instantly visualize the impacts of schedule changes, stop relocation, Signal Priority and other infrastructure projects. Identify specific stops and trips impacting your overall on-time performance. Discover when and where operational issues occur along every route in your network. Improve overall rider satisfaction by increasing service efficiency and reliability. Ready to improve transit service in your community dramatically? See how Swiftly can improve service reliability at your agency with an in-depth demo.